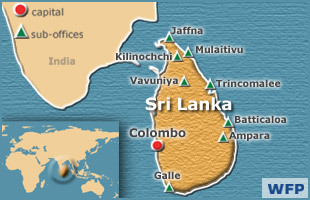 Sri Lanka is classified as a low-income, food-deficit country. In recent years, the prevailing conflict and the frequency of droughts, floods and landslides have further reduced people’s access to food. The Demographic Health Survey of 2000/2001 showed that 29 percent of Sri Lankan children aged between three months and five years were underweight. The same survey found that 14 percent of children had stunted growth, and one out of six children had low birth weight. WFP’s subsequent surveys in the North and East in September 2003 indicated that the malnutrition rates amongst 5 to 7 year olds surveyed was much higher than expected and at times double the national average: In these conflict affected areas, 51 percent of this age group was found to be underweight while the levels of wasting and stunting were 30 percent and 27 percent respectively. A comprehensive rapid nutritional assessment in Mullaitivu District in September 2004 found that 38 percent of children under five were underweight – 7 percent higher than the national average. The level of wasting was 21 percent and stunting 18 percent. Both indicators are 5-7 percent higher than the national average. Food for work for seasonally unemployed people and landless labourers. Emergency assistance to those who have fled conflict areas and have become internally displaced is the fourth component that is activated as and when necessary. 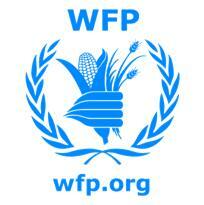 These programmes assist population groups that constitute the most vulnerable and food insecure groups in the country.